Deadline is reporting that sci-fi director Neill Blomkamp (District 9, Elysium) is set to direct a new RoboCop installment for MGM titled RoboCop Returns! 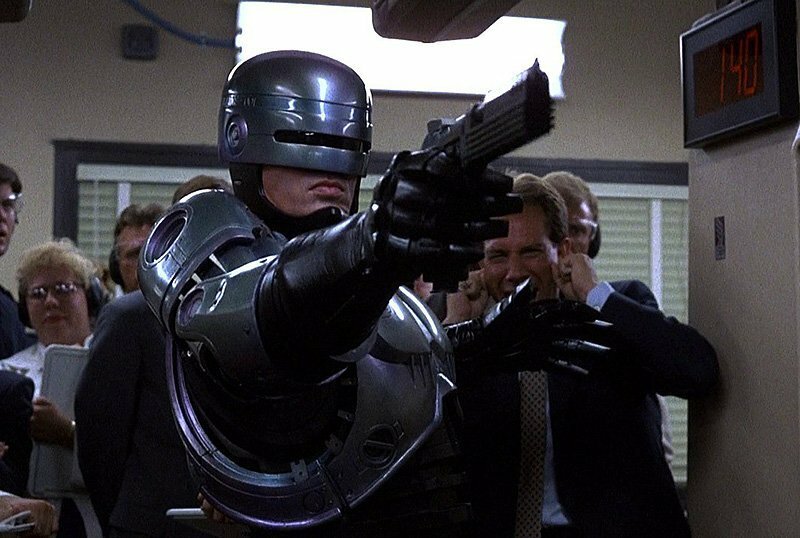 Unlike the previous RoboCop remake from 2014, the new film will be a direct sequel to the original based on an unused RoboCop 2 screenplay by original writers Ed Neumeier and Michael Miner, with rewrites by Justin Rhodes (Untitled Terminator Reboot, Masters of the Universe). Here is a brief plot synopses for RoboCop Returns: Anarchy reigns and the fate of Detroit hangs in the balance as RoboCop makes his triumphant return to fight crime and corruption. Blomkamp, whose previous film Chappie borrowed heavily from the original RoboCop, will direct RoboCop Returns with Neumeier and Miner serving as producer and executive producer, respectively. Paul Verhoeven’s original 1987 classic RoboCop starred Peter Weller as Officer Alex Murphy, who is brutally killed in the line of duty and ultimately resurrected as the cyborg crime fighter. The film garnered $53 million at the box office and three Oscar nominations, winning one for sound effects editing. Weller returned for the 1990 sequel RoboCop 2, directed by Irvin Kershner from a screenplay co-written by comics fav Frank Miller, which grossed $45 million and was not as well received. RoboCop 3 was made in 1991, but not released until 1993 due to the bankruptcy of Orion Pictures, and the more kid-friendly PG-13 entry directed by Fred Dekker died at the box office with $10 million. A big budget RoboCop remake was developed in the 2000s with Darren Aronofsky, who left the project which was ultimately helmed by Jose Padilha and grossed $242 million worldwide in 2014 but was poorly reviewed. Are you excited about RoboCop Returns? Let us know your thoughts in the comments below!